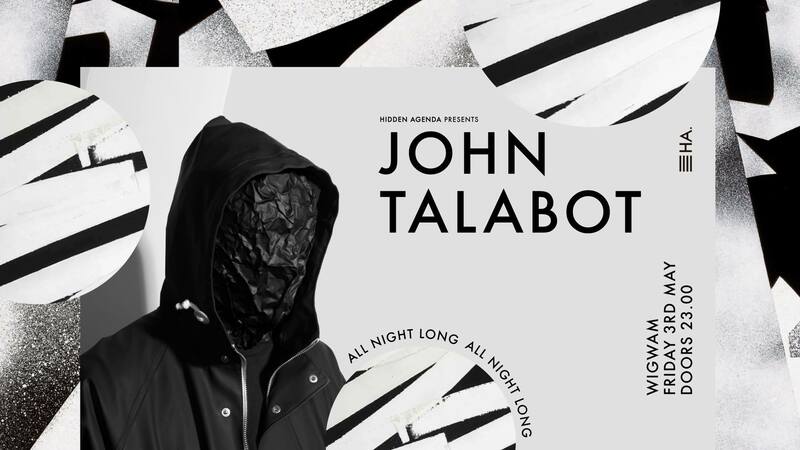 Performing alongside the likes of Axel Boman, Mano Le Tough and Dixon on the regular, John Talabot is an artist as skilled in his creation of delicate melodies as he is in driving and pulsating rhythms. With releases on such esteemed labels as Permanent Vacation, Young Turks and Hivern Discs, John Talabot has an extensive back catalogue of his own work to delve into when constructing his sets. It’s the marriage of his production and his selection that makes him one of the most respected and in demand artists across the globe, and it’s something that can only be appreciated when you see it for yourself. Trust us, this is one you won’t want to miss.